Street violence and delinquent school kids make up this horrifying drama. Peter Mullan has made a big impression as an actor in gritty British dramas over the last two decades, and is arguably best known for his role as Swanney in Trainspotting and his lead role in Paddy Considine’s Tyrannosaur in 2011. But it’s Neds that is his crowing glory; Mullan’s wrote, directed and played a minor part in the film, as McGill’s alcoholic father, and captured in all of the characters realism, humour and an intensity that is hard to capture on screen. The kids act like normal teenagers, like when they attend a disco, slow-dancing with girls, then laughing with friends, and are brilliantly identifiable as rebellious school children. But the boredom of their environment, their communal poverty and general dismissal by others give them a reason to find power in terrorising other children. A terrifying group mentality is shown where they will mug and/or beat up anyone they see, as long as they easily outnumber their victims, and it’s this power tied into weakness that makes the film’s characters realistically dangerous as well as saddening to watch. The terror of street violence itself really hits home in this drama with a surprisingly appropriate horror soundtrack for certain events. When two boys aggressively gain entry to a families home and rush into the sitting room where they’re eating dinner, harsh low tones and screeches that are usually linked to horror movies is used with this gritty event being intensified by McGill himself scrambling to a cutlery draw to defend his family as he threatens the boys out of his house. 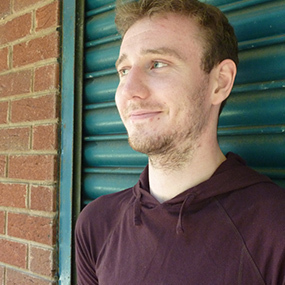 John McGill’s own transformation from top of the class student to brawling street thug is well achieved with Conor McCarron playing a sheepish and astute child. Within the summer holidays six weeks he starts a transformation into a disrespectful thug who enjoys the simple pleasure of having power over others. His descent further into a more violent rivalry between gangs pushes him the limits of his conscience, but once he learns to dominate others Mullans and McCarron are careful to never let McGill’s façade of power drop fully to show his true emotions however desperate the situation. This is a brilliant addition as it really adds to his persona as a terrifying young man who is also terrified himself, but never outwardly. 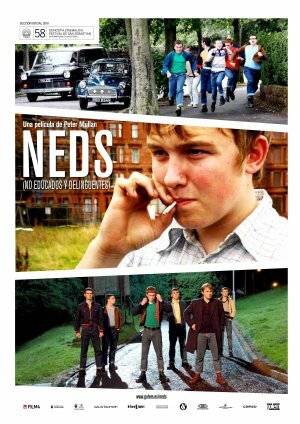 Neds uses touching drama to push realistic characters and their situations to a wider audience and proves unrelenting in its portrayal of not only violence but the quick and easy descent of children into criminality and belligerence. If you are a fan of real, gritty drama and don’t mind a scare, this could be one for you.